Two Koya University researchers in the Department of Chemical Engineering conducted a joint research with the British Teesside University. The research is entitled (The Best recovery for the Gaseous Liquids from Natural Gas with the Use of Turbux Spider), which will be published under the name of Koya University in a high- impact factor journal in the USA. One of the researchers explains the process of conducting the research, its importance and content to the Koya University Newsletter. Dr. Dilan Majid Rostam, Koya University's Vice President for Scientific Affairs and Higher Education, held a series of important seminars about electronic university on 10,17,18 November in which all Koya University teachers participated. 8th September, 2015 was not an ordinary day. 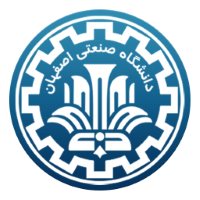 On this day, Koya University reaped the rewards of two years work and preparation to establish close relations and a shared vision with Isfahan University of Technology, one of the most well-known Iranian universities. Due to the importance of the researches done by Mr. Karzan Abdul-Kareem Omar, a Koya University scholar at the Department of Chemistry /Faculty of Science and Health of Koya University, four of his researches will be printed and published in the form of a book by the German Scholar Press in the name of Koya University. The staff of the Journal themselves had contacted the researcher for this purpose. The book is now available online. Instructors and students can buy it at a low price. Being published by one of the world scientific and academic journals, the book can be used as a scientific source. Marhaba Project (Erasmus Mundus) sends four Koya University students from Faculty of Engineering (FENG) to University of Minho Portugal to study for one academic year in the field of manufacturing engineering. 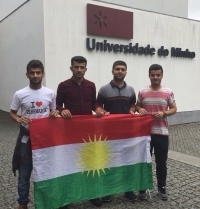 Koya University is representing the Kurdistan Region; Rekan Sherif, Dana Ghafar, Shivan Hakim and Shangar Mohemmed are the four students from Koya University who were able to win a one-year scholarship to study at University of Minho/Portugal via Marhaba Project. 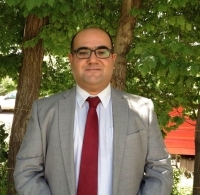 Mr. Hiwa Salam, an instructor at the Kurdish department of Koya University participates in a research project of the British Small Media Academic Institute, which is about the oppressed ethnic minorities of the Iranian community. The research is dedicated to the eastern Kurdistan Kurds. A research work was published by Koya University Researcher, Dr. Fahmi Fariq, Head of Department of Physics and Lecturer at the Faculty of Science and Health under the title ‘’Impedance spectroscopy analysis of DH6T:PCBM bulk heterojunction incorporating Gaq3: Experiment and model ‘’. 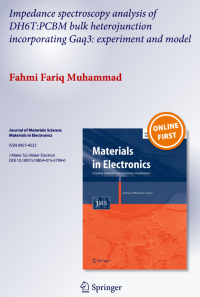 The paper is published in the Journal of Material Science; Materials in Electronics, a peer reviewed journal which is disseminated by Springer. The journal has an impact factor of 1.569 currently. The Teacher Training Program (TTP) at the Arizona State University (ASU) is an internationally renowned and award winning program for lecturers in English Language teaching. This academic year (2014/2015) two lecturers from Koya University, Mr Hawkar Akram Awla and Mr Mustsafa Wshyar Abdulla, assistant lecturers in the Department of English, Faculty of Humanities & Social Sciences were awarded a fully-funded scholarships for joining the TTP of the Arizona State University (ASU). The program is sponsored by the US Embassy- Baghdad and Arizona State University and lasts for 47 days starting from June 13, 2015 and ending on July 31, 2015.